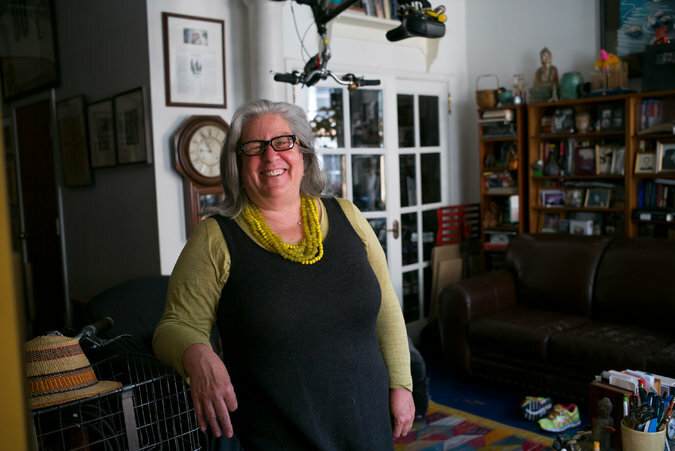 IN her late 50s, Wickham Boyle left her job as an editor to pursue a project she was passionate about, producing an opera about 9/11 based on a book she wrote. A few months later, when she was ready to go back to work, she discovered it wasn’t so easy to find her next gig. “Our play closed on the day Lehman crashed, and my world dissolved,” she said, recalling the start of the financial crisis in 2008. But then she met Danielle Grace Warren, who, at 25, was involved in a project to improve conditions and business prospects for the 600,000 women in Ghana who work in the global trade of cosmetics and cooking products made from the nut of the shea tree. The two discovered they were a perfect team, despite the differences in their ages. Four years later, Ms. Boyle, now 63 and vice president, and Ms. Warren, 31 and president, are the driving force behind Just Shea, a for-profit social business based in New York that markets shea products. 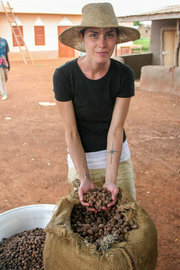 The profits go to a related nonprofit, which provides, among other things, equipment to protect women who harvest shea nuts from snake bites, and microloans secured by crops stored in a cooperative silo. They also defy the persistent stereotype about younger and older people battling over jobs in the still-shaky economy. When these multigenerational ventures succeed, if is often because of the different sets of skills and perspectives that an older and younger person can bring to solving a problem. Ms. Boyle said she felt an immediate connection to Ms. Warren and her project. She grew up traveling often to Ghana and other parts of West Africa and had spent most of her career in the nonprofit sector. Initially, she volunteered her time, making introductions to her network of contacts. After about six months, the two secured an angel investment from a family friend of Ms. Warren’s, which turned their cause into a venture. The two are paid the same salary, which rises and falls based on how fund-raising is going. Ms. Warren says working alongside someone twice her age feels natural. She learned about being an entrepreneur from her father, who has run a series of small businesses, including a tropical flower farm in Florida and reforestation project in Haiti. When she was in college, her father invited her to Haiti to help develop an idea he had for a women’s resource center, to provide classes in sewing and other skills and information about health and nutrition. Ms. Warren’s family wasn’t rich, but playing this kind of role was a part of her upbringing. Ms. Boyle feels a similar comfort in the team. Her daughter is the same age as Ms. Warren. When Ms. Boyle and Ms. Warren describe their respective contributions, they explain how their ages and life stages complement one another. They use Ms. Boyle’s loft as an office and meeting space, even as a place to hold fund-raising events. “I also have tons of contacts from a life lived across careers,” Ms. Boyle says. She found a chemist who turned the raw shea into a marketable product, for example. Ms. Warren, by contrast, has relationships with funders of organizations like theirs and with others working on similar globally oriented social ventures. With no children tying her to the United States, she can travel to Ghana for long periods of time to focus on local fund-raising opportunities and to work with their employee on the ground. “We share like mad,” Ms. Boyle said. Housecalls for the Homebound, another venture led by people of different generations, is a medical practice serving geriatric patients in Brooklyn and Queens. It began four years ago because of conversations at a family dinner table. Daniel Stokar, now 26, was preparing to graduate from college. His grandfather, Samuel Lupin, now 75, was talking about retiring after more than 40 years as a physician. Most of his patients had aged along with him. Over time, he dedicated more of his practice to house calls, so his less mobile patients would not have to travel to doctor’s appointments. “This was an example of a glaring medical need not being met by very many doctors,” Dr. Lupin said. Each family member has a well-defined role. Dr. Lupin interviews and hires other doctors, and serves as a mentor to them. Daniel Stokar runs the business of office. And Daniel’s father, Avi Stokar, who is a software engineer and computer programmer, is the resident technology expert. He created the electronic medical system used by the practice to track patient data during the house call visits. Since its start (originally as Brooklyn Housecalls), Housecalls for the Homebound has brought on six additional doctors and a nurse practitioner and has provided care to about 800 patients. They have a model that provides doctors with a competitive salary, without requiring them to run a back office or do hospital rounds. And they are proud that they have been able to deliver good care at a low cost. “If we needed to, we could visit a patient in this category even weekly, for an entire year, for less than it costs in New York for a single hospitalization,” Dr. Lupin said. The group also provides consulting services to hospitals and other practices that want to emulate their model. A version of this article appears in print on May 17, 2014, on page B7 of the New York edition with the headline: Partnerships That Blend the Skills of Two Generations.